Checking what is your IP address is very easy, and even Google will show the IP if you search for “what is my IP”. Privacy and anonymity matter for VPN users, so it is not enough just to check what is your new IP when are connected to the VPN. You also need to ensure that you can’ t be decloaked when you are behind a VPN. In this tutorial, we will share some powerful tools that display additional information about IP addresses. Some of this information can be used to reveal VPN users’ identity. Includes information about browser and detects the DNS server you are using. If your VPN leaks DNS, an attacker can reveal your real network (ISP). IP location service of AirVPN.org. Detects your DNS servers (useful to detect DNS leaks) and detailed information about browser. In our testing we found that it is more accurate than dnsleaktest.com when checking for DNS leaks. Features a probability score of proxy/VPN detection, multiple real IP address and DNS server detection tools using Flash, Java, Silverlight. Displays IP information using several IP geolocation databases: IP2Location, IP Address Labs, DB-IP, ipinfo.io, MaxMind. This tool is useful to check how accurately the location of your VPN IP is reported by different IP geolocation services. Even if it is not an IP whois tool, we share this tool as a bonus, just in case you haven’t heard of it already. Panoticlick will show you how unique your browser fingerprint is, by detecting plugins and configuration details. You will be surprised to find out how unique a browser is, and being essentially an online fingerprint that can be tracked by websites and attackers – you need to treat this seriously. Block the 3rd party tools that can be used to reveal your real IP address: Java, Flash Player, Silverlight. There are browser plugins to do that. Consider using NoScript plugin if you are really paranoid. The problem with NoScript is than be a bit annoying to use it since it breaks the rendering of many websites. Use DNS leak and IP leak protection tools. They are usually part of VPN connection software. Check our DNS Leak Tutorial for more details. Use separate browsers, virtual machines and Tor to maximize anonymity and reduce the risk of mixing identities. Paranoid users should consider separate hardware including different Internet connections like prepaid 3G modems/cards bought anonymously. if you know more online tools, share them! What is a DNS Leak and how to fix it? There are some other websites that does similar things. http://getipaddr.net/more tells you geoIP information from the connecting IP. http://getipintel.net/ is a free IP proxy / VPN look up service using machine learning. You can use it to look up your own IP address. Don’t forget about http://ipinfo.io too. You can try IP geolocation using Twitter bot. Key in “@ip2location ” in Twitter and get results in minutes. Whoer.net shows a lot of extra info. For ip check I’m also using https://whatismyip.com and https://www.xmyip.com. it shows lots of misinformation, too. 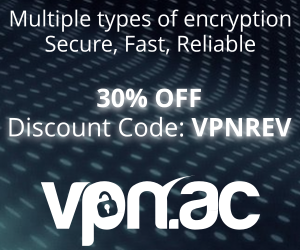 And the whole site is used to promote their own VPN service, for example they will show a promo if you’re using some different (identifiable) VPN service.